In summer, weather is too much hot, it is often hear that it is not the heat, but it’s the humidity. 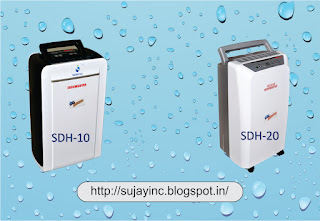 ‘SUJAY’ Portable Dehumidifier is perfectly suitable for removing humidity and save a lot of electrical bill. Most of the people invest in a dehumidifier for the Winter Months. To remove excess moisture, they are placed Dehumidifier in basements, which are naturally humid. Many people are also using dehumidifier in their homes to remove excess moisture to avoid problems of Mold and warped wood. Other People’s buy dehumidifiers for the sunny months, although most use them only on middle warm days. To keep the air moving Many times, they use dehumidifier with ceiling fans. During a strict heat wave, however, they turn their air conditioners. It is a matter of personal satisfaction. Dehumidifier work as a cooling device: it removes moisture from the house, lowering the temperature-humidity ratio. With limited moisture, the moisture on a person's skin evaporates quicker and easier. That speeds up the natural cooling process conducted by your body. Portable Dehumidifiers eliminate excess humidity by drawing moist air past refrigerated coils. That moist air condenses into drops of water as it's run through the dehumidifier, which then pumps the dried air back into the room. Water is store in the dehumidifier. Dehumidifiers & Air conditioners do the same thing but Air Conditioners cool the air. That's why an air conditioner is too much costly. Keep in mind that dehumidifiers are not as energy efficient of a device like ceiling fan. They cost more to run, similar to the cost of running a refrigerator. But that's still less than the energy consumed by an air conditioner. If you decide to invest in a dehumidifier, make sure it has a label of Government Seal. 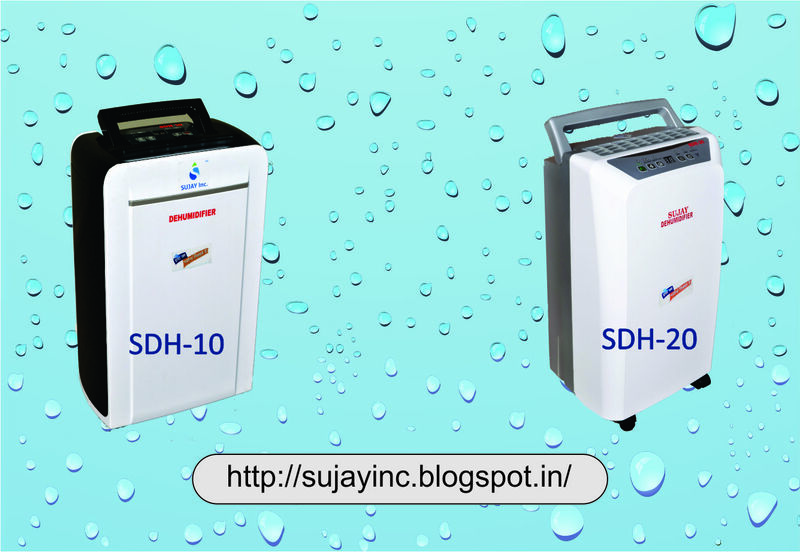 Make sure you also use the suitable dehumidifier as per your area & humidity requirement. If you run a Portable Dehumidifier, keep the thing in mind that unit should be dust free & clean, so you will get best result. Unplug it before you clean dehumidifier. Also remove dust from inside parts of dehumidifier like fan, sensor, controller, modular plate. Do not use a dehumidifier when you are running an air conditioner. It will increase the cooling load and air conditioner run more. That is a total waste of energy & electricity.